First of all what does PCD mean? 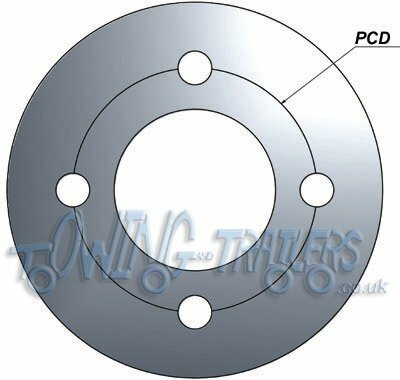 PCD stands for Pitch Circle Diameter. 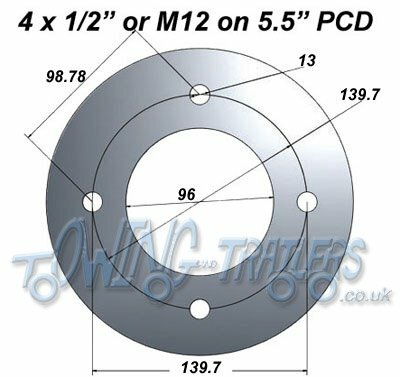 This is the diameter of a circle that is used to measure the spacing between the wheel studs on a hub or the stud holes in a wheel rim. 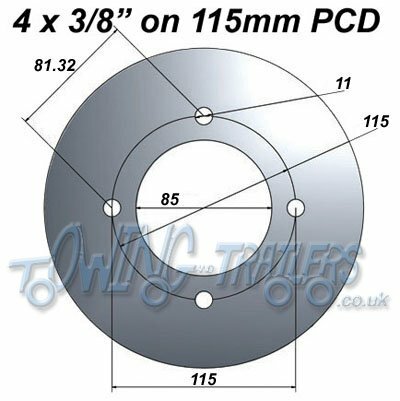 In this guide are diagrams showing the most popular PCD’s and stud sizes used. These will help you measure your PCD before purchasing new hubs or wheels. 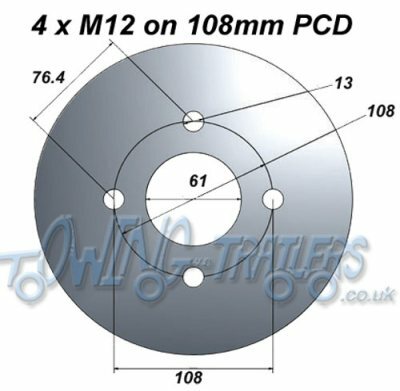 As shown on the diagram above it is easy to find the PCD on a 4 stud wheel. Just measure from the centre of one stud to the centre the opposite stud. This will work for any even number of studs. Please note there are two PCD’s that are very similar. These are 4″ (101.6mm) and 100mm. As these are so close some people get this measurement wrong as they mistake 4″ for 100mm if they are used to using imperial measurements. The same goes for 100mm being mistaken for 4″ if people are used to metric measurements. Dimension A is the diameter of the centre bore (hole in the middle of the wheel). 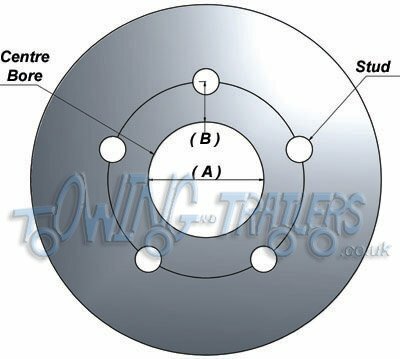 Dimension B is the distance from the edge of the centre bore to the centre of any stud. 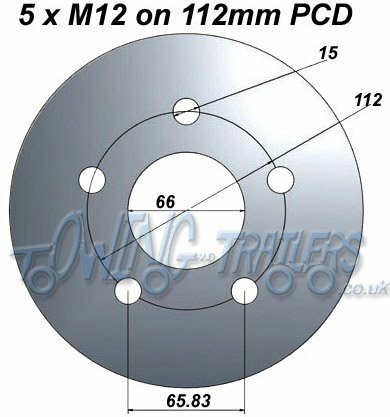 Below are a some of the most popular PCD’s used on trailer wheels. This is probably the most common PCD used on small trailers. It has a 3/8″ stud. Due to the size of the studs it is limited to wheel size and weight capacity. This is not advised to be used on wheels larger than 10″ and weights above 750kg per axle. This is also the PCD used on old mini wheels. 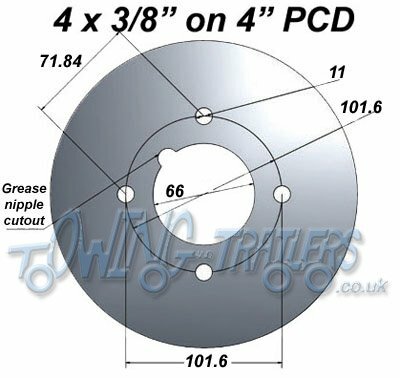 There has been a heavy duty 4″ PCD used in the past that gave extra carrying capacity and allowed larger wheels to be used. It had a 7/16″ (11.1mm) stud and was used on some Indespension wheels amongst others. 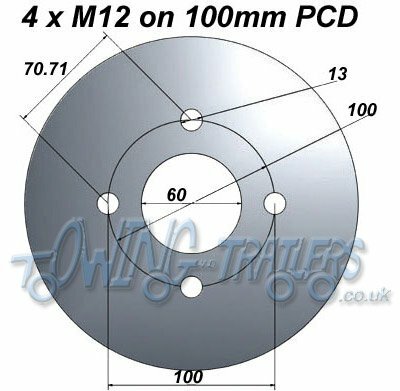 This has been superseded by the 4 stud 100mm PCD shown below. 4 x 100mm can be used on smaller trailers that require larger wheels. The carrying capacity is higher as the studs are larger (12mm) and this gives a stronger fixing point. This PCD is often used on caravans. 4 x 108mm is usually used on Ford car wheels (please check your wheel measurements). The carrying capacity is higher as the studs are larger (12mm) and this gives a stronger fixing point. 4 x 5.5″ is a commonly used PCD, and it comes with either a 12mm or ½” (12.7mm) stud. This is a heavy duty 4 stud pattern, although we do not recommend using on weights above 1300kg per axle. We tend to use this on all braked suspension up to 1300kg per axle. A lot of trailer manufactures use this on their suspension units. 4 x 115mm is mainly used on European and flat-pack trailers such as Erde, Daxara and Franc. Other small general purpose trailers such as the Maypole MP711 also use this pattern. 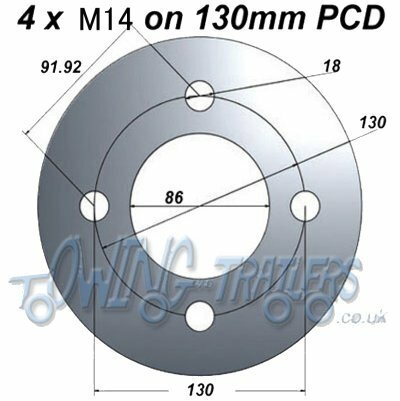 4 x 130mm PCD is used by French manufacturers of trailers, 115mm PCD is used on smaller 8 or 10″ wheels and 130mm PCD is used on the bigger 13″ wheels that carry more weight. 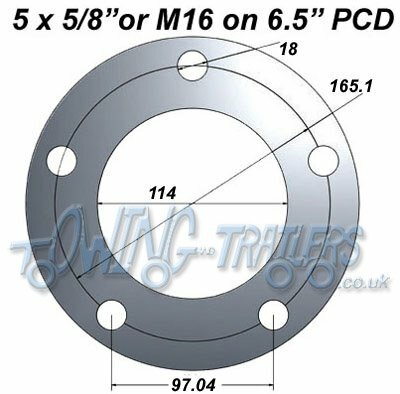 5 x 6.5″ (165.1mm) is a very popular PCD as it will accommodate any trailer weight. It uses a larger diameter stud such as a 16mm or 5/8inch (15.875mm). It is commonly used by Ifor Williams trailers among other manufacturers. We try and use it on all wheels and suspension rated for 1500kg and above. 5 x 112mm is used on small wheels for building low loading trailers. These are often used by Brian James and Bateson trailers, mainly on large flat bed or beavertail car transporters where the bed needs to be low. 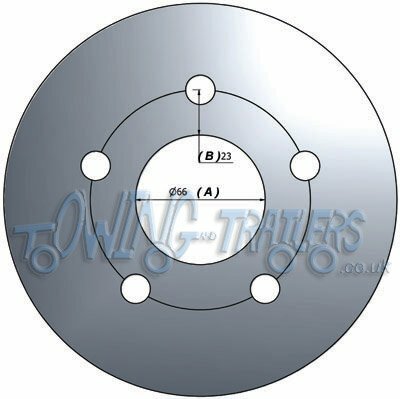 This pattern uses a 12mm stud and we would not recommend using on axle weights over 1500kg. 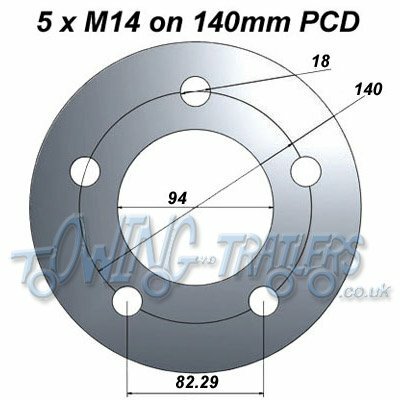 5 x 140mm PCD is another common size and a good weight carrying pattern. It is used on some Indespension trailers.